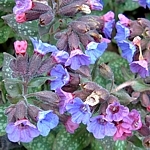 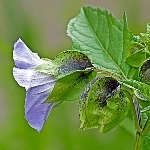 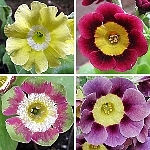 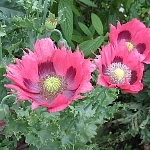 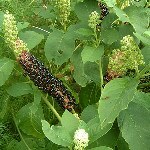 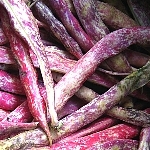 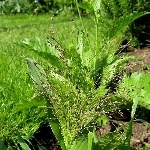 Harvested from deep-coral-pink plants with a darker eye and occasional fringes, but although common varieties growing near these were removed as soon as identified, it cannot be guaranteed that all these seeds will breed true - however, a very reasonable proportion should do so. 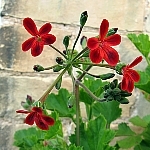 Sold out for now - more later! 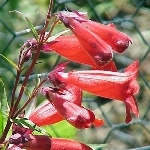 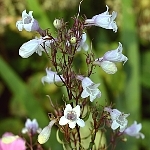 A native of western USA, the bright, pendulous, vermillion flowers of this beautiful penstemon variety adorn tall, slender stems above lance-shaped, deep-green foliage from August. 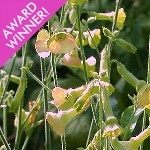 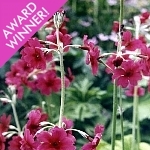 Best grown toward the front of the border, where it can be seen in all its glory! 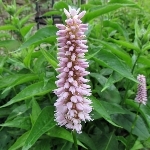 Spikes of pretty, pinkish-white blooms contras beautifully with maroon-tinted foliage. 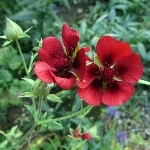 Flowering over many months, this is a lovely addition to the garden! 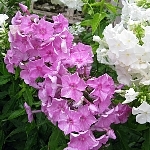 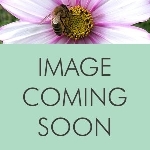 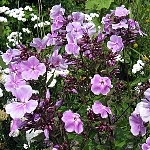 Perennial phlox does not usually come true from seed, so although these seeds come from the white and pink varieties illustrated, they could produce plants of almost any hue within the range from white to dark-pink. 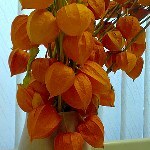 All very pretty, though, and they make a great cut flower! 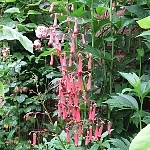 Phygelius 'Salmon Leap' is a suckering plant with dark green leaves and attractive panicles of tubular, orange-red flowers in summer. 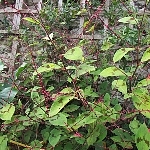 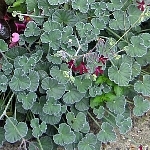 Whorls of pink or soft red flowers clothe erect stems, at the base of which are rosettes of toothed leaves. 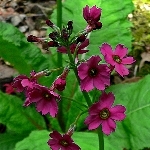 This primula can grow to 2 feet high, but will usually be a little shorter.